Dubai 3D Model – is a 1500 sq.km of advanced accuracy 3D Map produced for accurate planning of 5G networks. Dubai 3D Geodata contains: Digital Terrain Model (DTM), Digital Surface Model (DSM), highly accurate 3D Buildings with roof details, 3D Vegetation and Bridges, Clutter/Land Use/Land Cover Model, Obstacles Heights (Clutter Heights) Model, Vector model, Transportation networks. Dubai 3D Model is compatible with any RF planning software and propagation models. 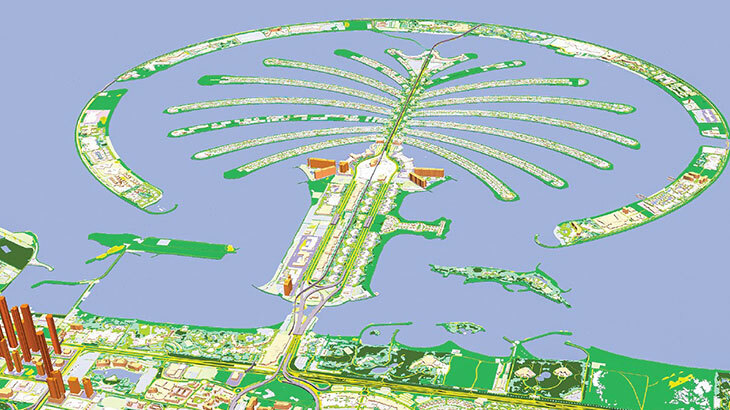 Dubai 3D map package could be used for any GIS projects, all data formats are supported. Download the brochure and free data sample of Dubai 3D digital model for more details. Our geodata catalogue includes over 4000 cities and 80+ countries.